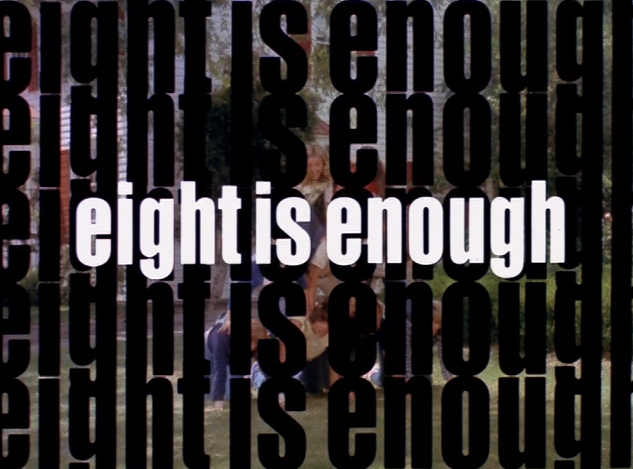 The family drama/comedy Eight is Enough has been in the news lately. 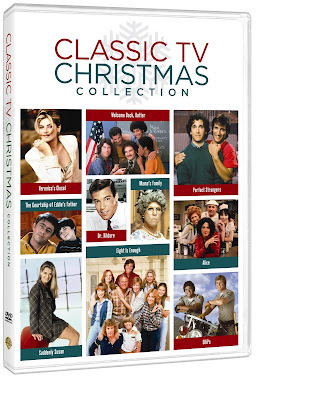 Finally, the first season was released on DVD this year and, last week, the series' executive producer Lee Rich passed away. 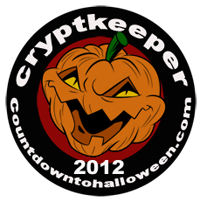 Check out his obit here. 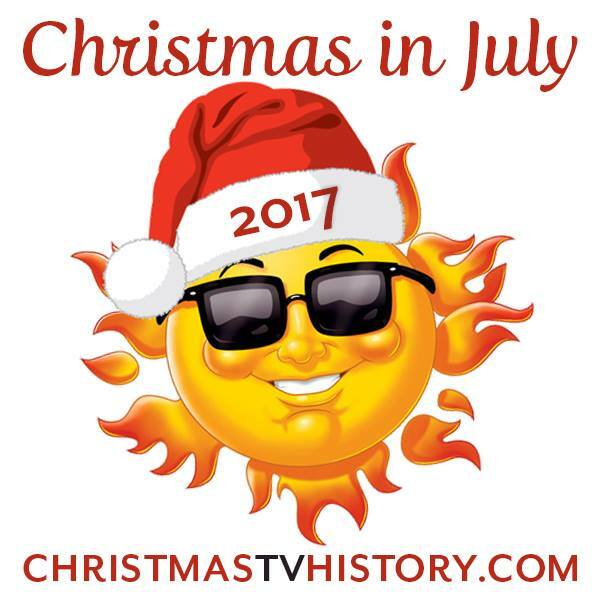 I'm of the age to remember watching this series when it originally ran and the Christmas episode was a special one in my house. 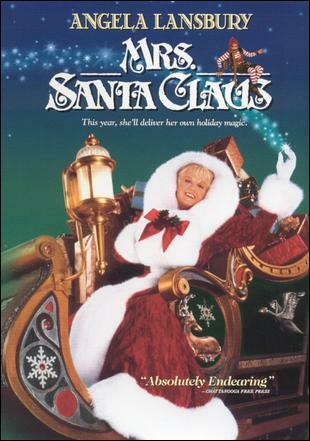 The second season episode "Yes Nicholas, There Is A Santa Claus" was the only Christmas story created and was re-run each December while the series was in production. 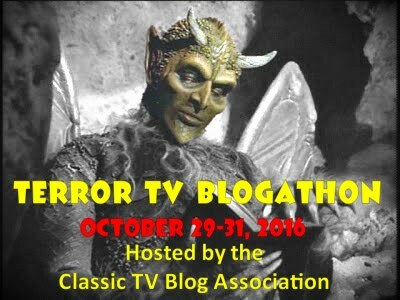 This two-hour episode would be broken into two parts for re-broadcast. One of the reasons this Christmas episode still remains a strong one is that it has an original storyline and an appropriate mix of silliness with sentimentality. 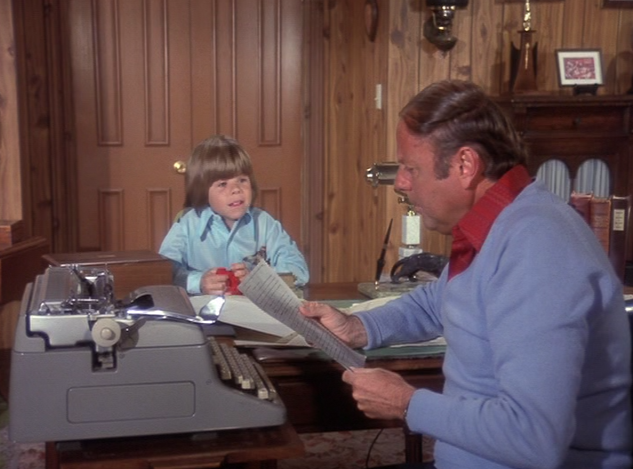 Father Tom Bradford is busy writing his newspaper column on Christmas Eve. In Part 1 of "Yes, Nicholas, There Is A Santa Claus," the Bradford family is out of sorts on Christmas Eve. 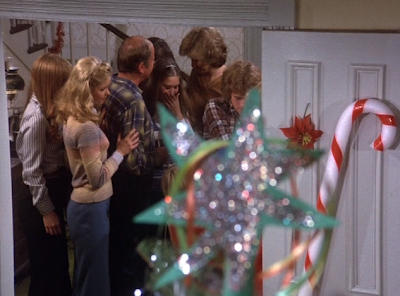 Though the family members don't discuss it much, this is obviously the first Christmas since their mother, Joan (played by Diana Hyland in the first season), has died. 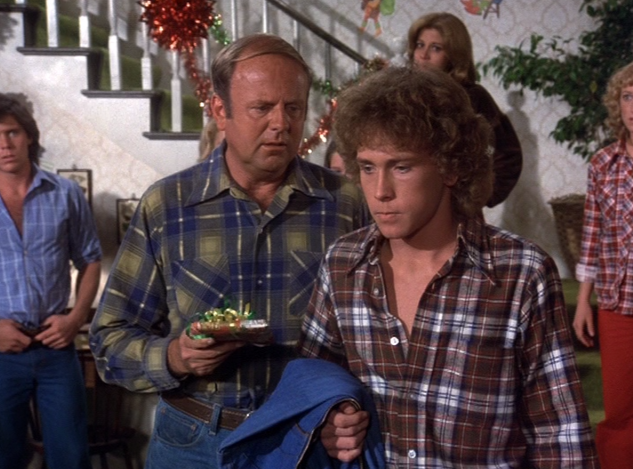 The awkwardness of this grief causes each family member to make themselves busy on Christmas Eve to avoid their deep feelings of loss. (These emotions will come out more in Part 2). 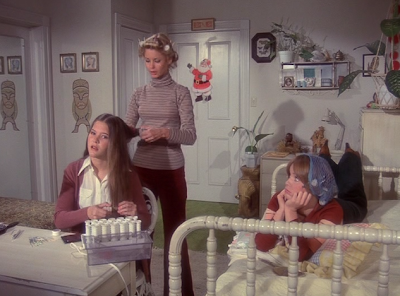 Elizabeth, Nancy and Susan make plans to go out on dates on Christmas Eve. 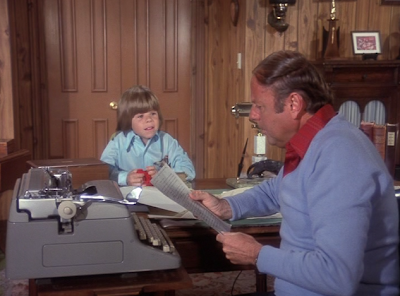 Tom remains distracted as he writes his New Year’s newspaper column. Nancy, Susan and Elizabeth are busy planning to go out on dates for the evening and eldest brother David is planning on leaving to spend the holiday with his girlfriend Noreen’s family out of town. In a funny side story, David and his girlfriend Noreen run into repeated obstacles that keep them from leaving town on Christmas Eve. 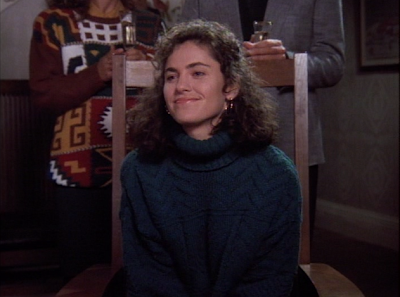 Noreen is played by actress Judy Strangis. Oldest sister Mary is depressed because she thinks her application to medical school has been rejected and Tommy seems more angry than usual. 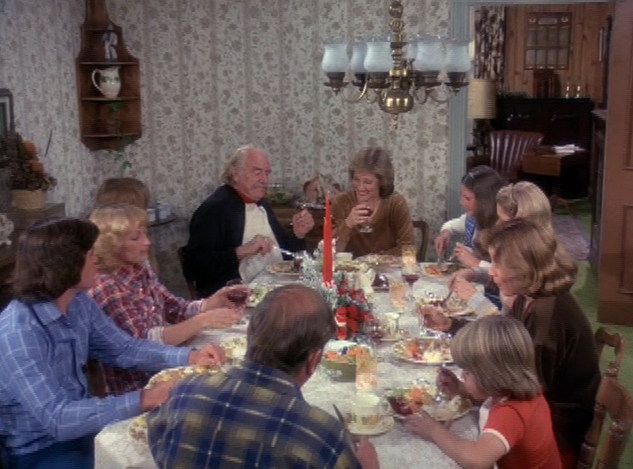 Tom’s new wife Abby (they just married in a previous November episode) has been hoping for a more traditional evening’s celebration since this is her first Christmas with her new family. Mary receives a hug from sister Joanie, trying to cheer her up when she doesn't hear back about her medical school application. 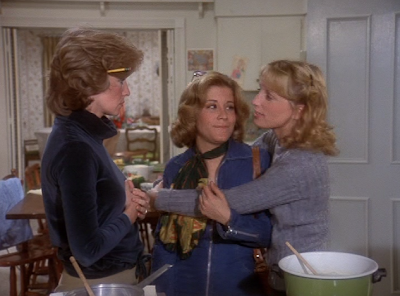 Abby, played by Betty Buckley, on the left. 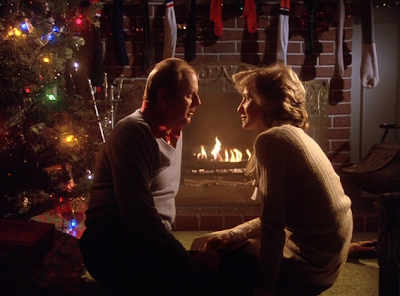 Realizing that Abby wants to spend time with her new family on Christmas Eve, Tom insists his children delay their evening's plans in order to be home on Christmas Eve. 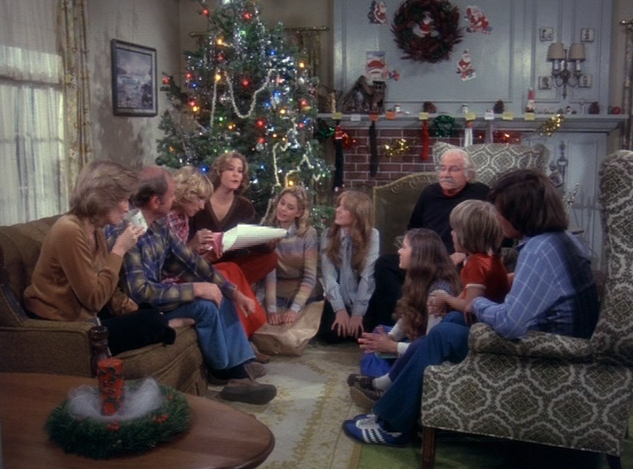 Unfortunately, the night becomes more of a chore than a celebration when the young adults spend their time together grumbling and then rushing through decorating the Christmas tree in order to leave for the evening. Tom and Abby decide to enjoy some alone time when the kids all leave for the evening. However, the youngest child, Nicholas’ wish comes true when he sneaks down into the living room in the middle of the night and spies Santa Claus with his bag by the Christmas tree. 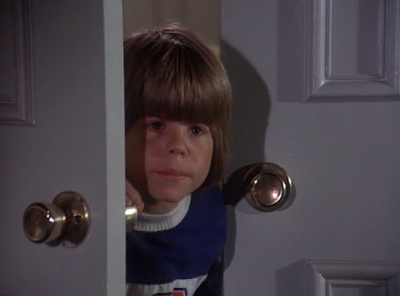 Adam Rich plays the youngest Bradford sibling, Nicholas. Come Christmas morning, the family realizes that their home has been robbed--their gifts have all been stolen and the family's cars are both missing. Susan hasn’t been home all night and the police fear she's been kidnapped! 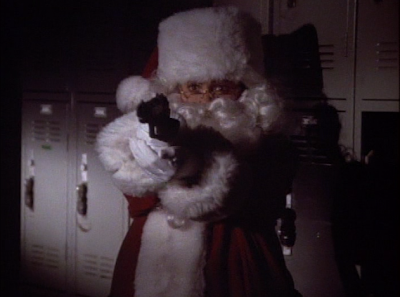 It turns out Nicholas is the only witness to the thief, the man he assumed was Santa Claus. Can you name a more lovable Santa Claus? 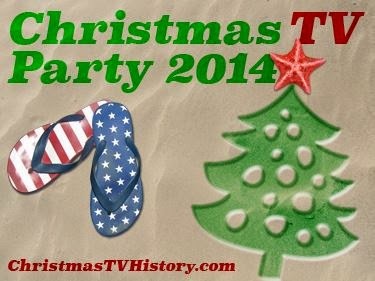 TV junkies like myself will love the casting of the character actors who fill out this special Christmas episode. 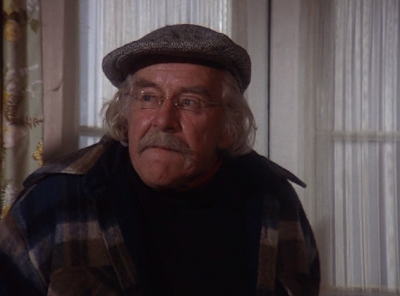 The best is actor Will Geer who plays Sam, the Santa Claus/thief who breaks into the Bradford home and greets Nicholas when he's caught in the act. 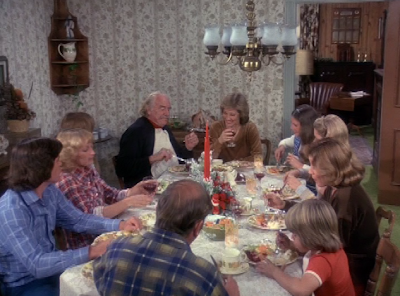 Will Geer is perhaps best remembered as playing Grandpa on the long-running family drama The Waltons. If you pay attention, you'll see Will Geer's real-life son, Thad Geer, in the role of Nancy's date, Alan. 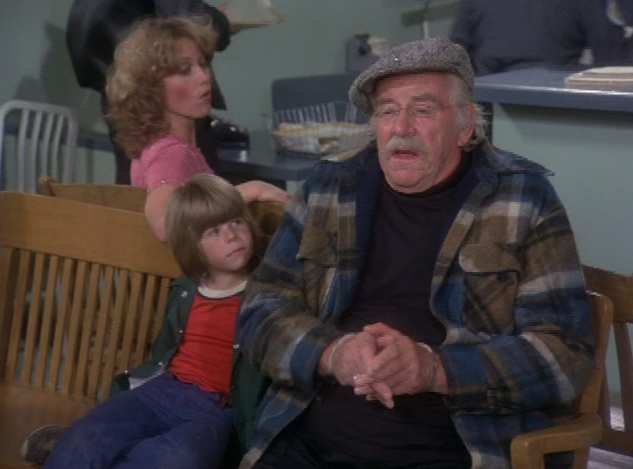 Do you recognize Alan's friend, Harold? 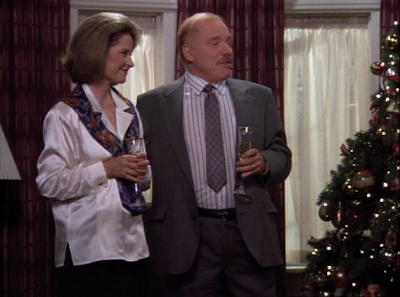 Harold is Susan's last-minute date for Christmas Eve. When Susan doesn't return from her date after midnight mass, the family begins to worry about the integrity of Alan's friend. Harold is played by actor Nicholas Hammond, who you may recognize as Friedrich Von Trapp, the oldest son in the classic movie musical The Sound of Music. 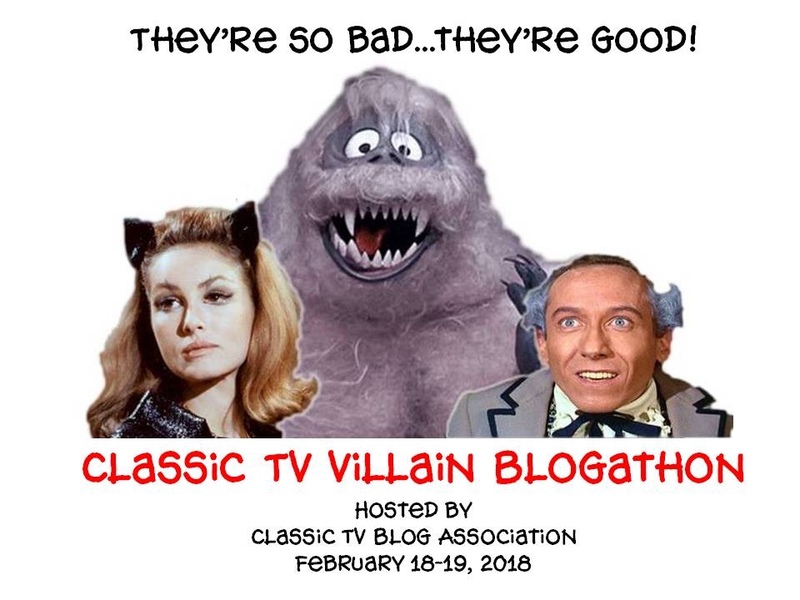 Or, if you're a Brady Bunch nut, like myself, you'll know Hammond also played hunky Doug Simpson, Marsha's crush who breaks their date after she bruises her face ("Oh my NOSE!"). He's had some career! Is there anything more miserable than spending Christmas morning with the police? 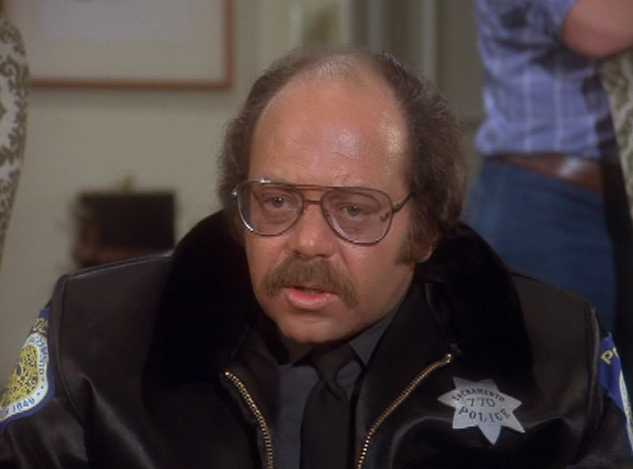 Actor Larry Gelman plays Officer Bernstein. Wait--there's more! 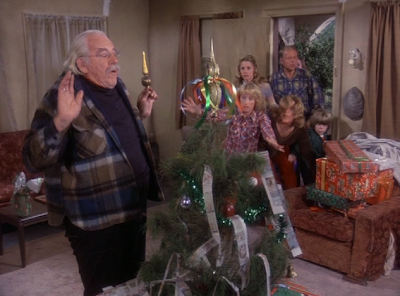 The policeman who arrives on Christmas morning at the Bradford home to take the robbery report, Officer Bernstein, is played by character actor Larry Gelman. I remember Gelman best from his role as Dr. Tupperman on The Bob Newhart Show. And, the actress who plays David's girlfriend, Noreen, is Judy Strangis, who also played Dyna Girl in the Syd & Marty Kofft Saturday morning, live-action, superhero series, Electra Woman and Dyna Girl. (See photo above for Judy Strangis). 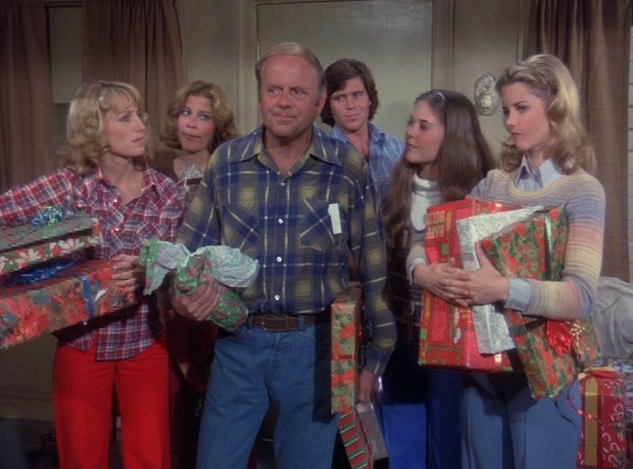 While waiting for season 2 of Eight Is Enough to be released on DVD, you can watch this episode on the Classic TV Christmas DVD or buy the download from Amazon Instant Video. Click HERE for Part 2 of "Yes Nicholas, There Is a Santa Claus." Do you remember watching this classic Christmas episode? 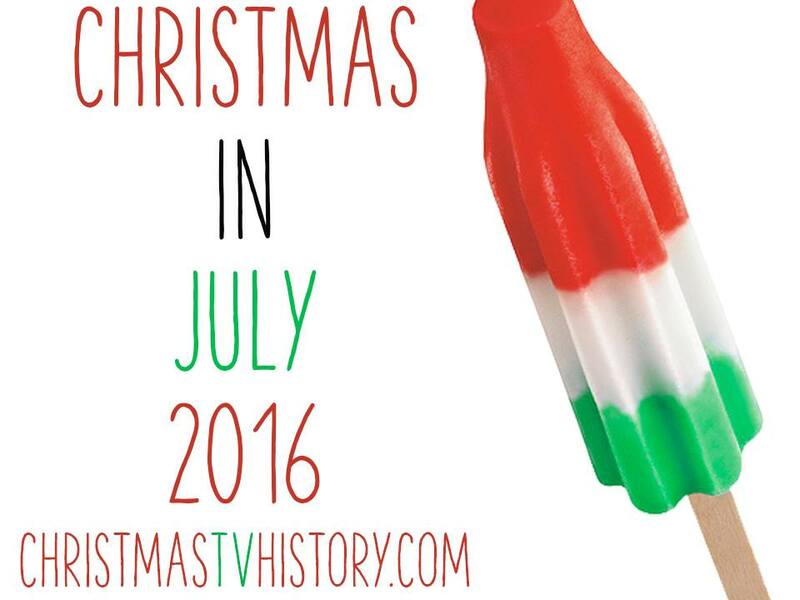 Last Tuesday, I began a discussion of Sherlock Holmes TV Christmas entertainments. Click HERE to see the first post again. 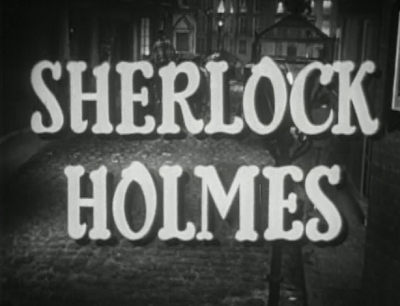 I'm continuing now with another installment, this one from the 1950s TV series simply entitled Sherlock Holmes. 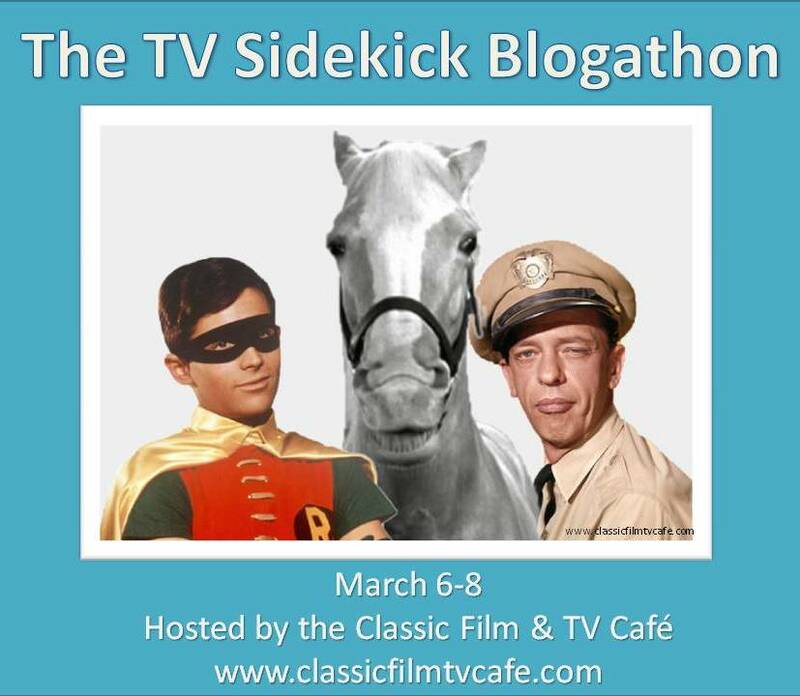 Each mystery unfolds in an efficient half hour length episode. 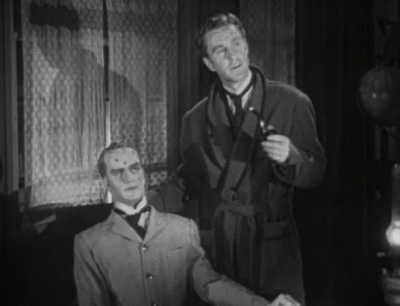 Holmes is played by actor Ronald Howard--no, as you can see not Opie Taylor/Richie Cunningham Ron Howard! 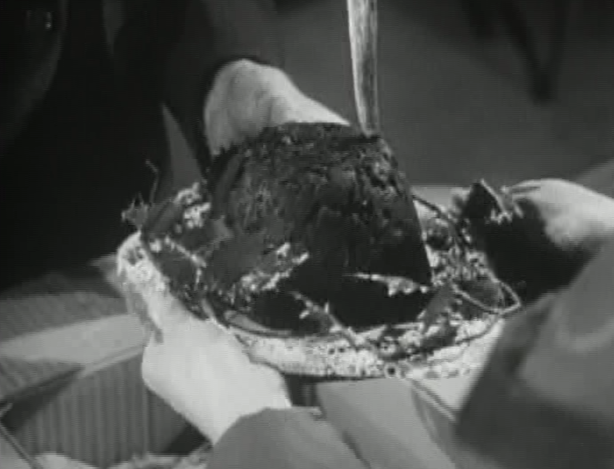 In the 1955 episode "The Case of the Christmas Pudding," a convicted murderer, scheduled to be hanged, promises to kill Holmes before his execution date. 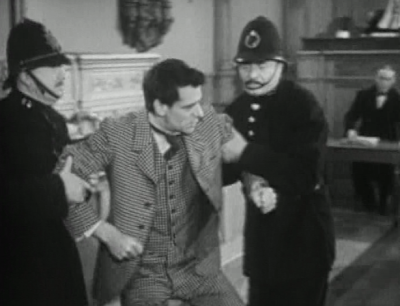 Though John Henry Norton is safely imprisoned, Holmes takes the threat seriously and anticipates every possibility of an escape. After he's convicted, Norton threatens Sherlock's life in open court! 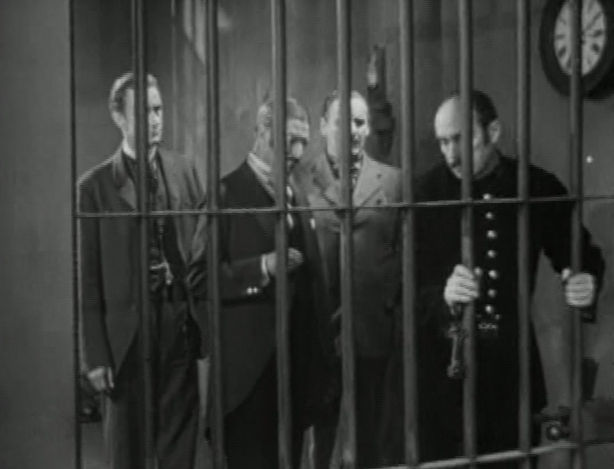 Sherlock takes the threat seriously and goes to the jail to examine its sturdiness for himself. When Norton does indeed escape on Christmas, the clever detective is ready and waiting. Sherlock shows off the mannequin seated at his desk that Norton plugged with bullets! After Norton is captured at Holmes' apartment, Holmes returns to the prison to explain how the killer escaped. I don't want to give away too many details because that would spoil the mystery and charm of the story. However, the story's brevity is also its weakness, in that, viewers are denied most of the particulars about Sherlock and his cleverness in solving the daring escape. When he solves it in the end, it seems to come to Holmes a little too easily. Character vs. plot--it's a common TV storytelling dilemma. 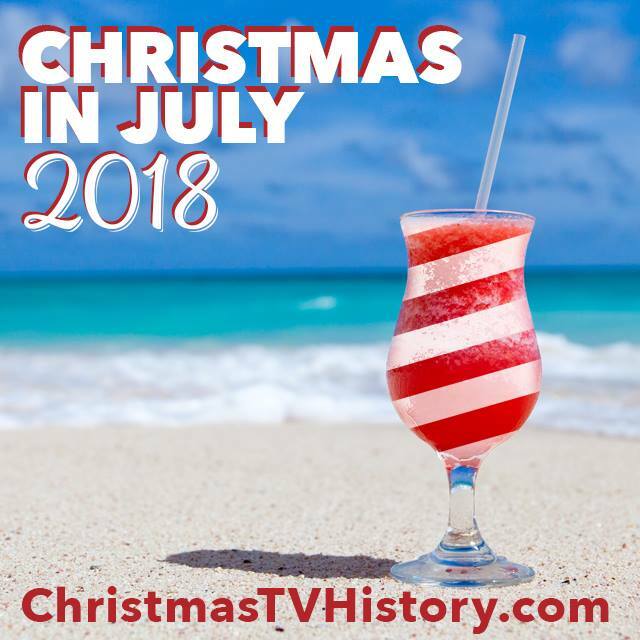 This Christmas episode is still interesting and includes a few of those British traditions, such as a Christmas pudding, that we find so endearing. 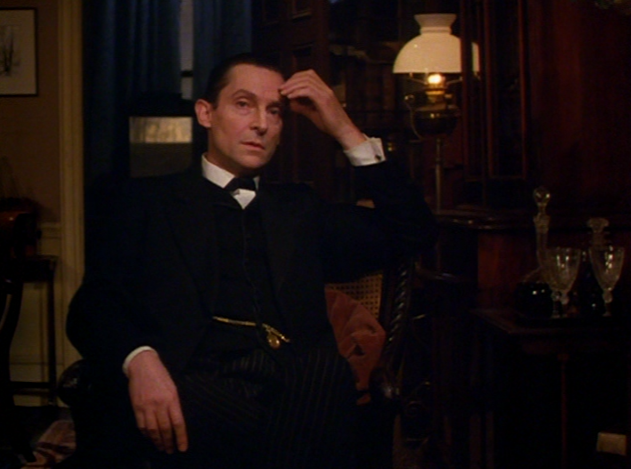 It's also interesting to compare it to more sophisticated, longer Sherlock Holmes adaptations--if you're a devoted fan of the nineteenth-century detective. 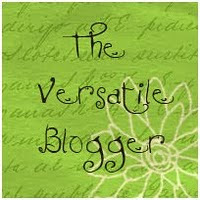 Tell me what you think of it. The warden examines the Christmas pudding baked by Norton's wife. This episode is available for viewing below. 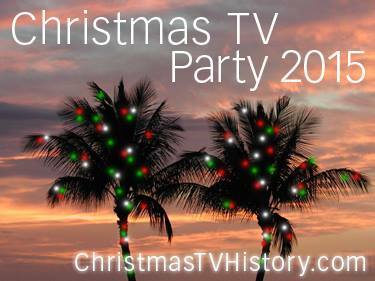 It is also currently streaming on Netflix and it's in the 1950s Christmas category of my Youtube channel TistheSeasonTV. Have you been following the most recent TV adaptation of Sir Arthur Conan Doyle's literary detective Sherlock Holmes on PBS? 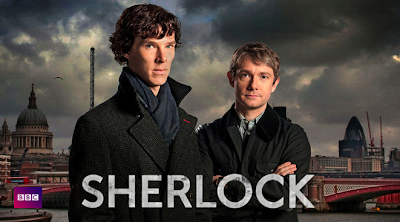 The British series, simply entitled Sherlock, just completed its second series with a mind-blowing season finalé. 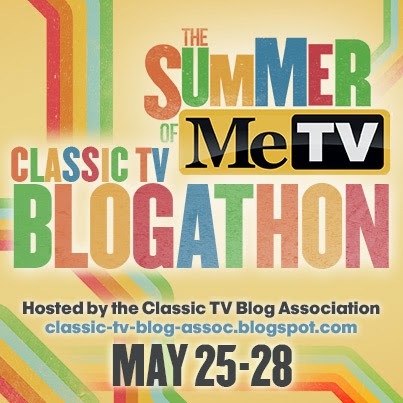 If you're quick, you can watch it on PBS.org (it expires June 19th). The first season is currently streaming on Netflix. 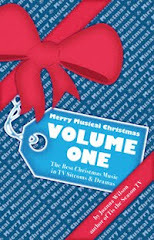 The first installment in this second series contains Christmas scenes however I wouldn't consider it a Christmas-themed episode. Thanks to J.A. Morris from Holiday Film Reviews for starting this conversation. 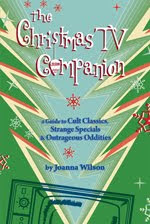 But there are other Christmas-themed Sherlock Holmes stories. 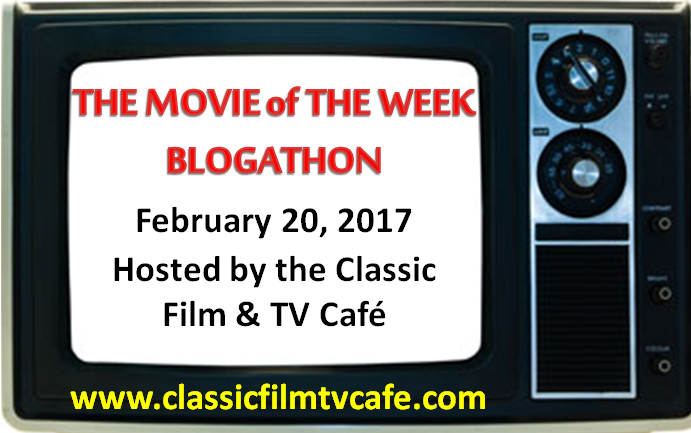 The first one that comes to mind is the 1984 episode "The Blue Carbuncle" from The Adventures of Sherlock Holmes starring Jeremy Brett as the title character. 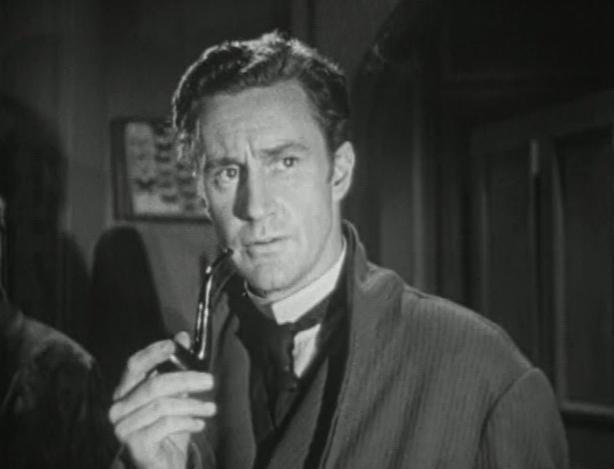 Holmes is asked by a neighbor, Mr. Peterson, to help him find the man who has dropped his hat and a Christmas goose during an attempted mugging. When the goose carcass is found to contain a recently stolen precious blue gem, Holmes’ interest is further piqued. 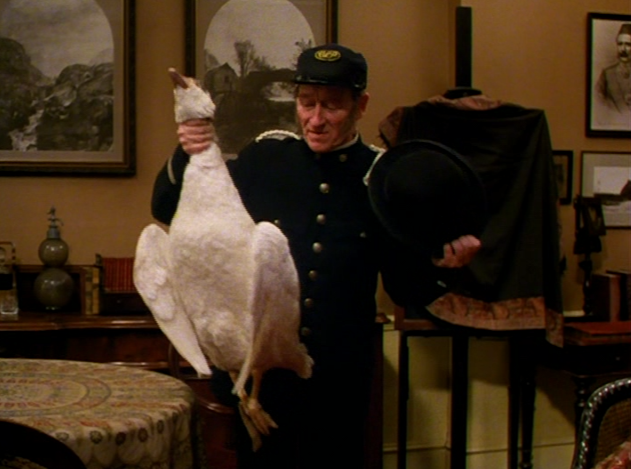 Peterson wants to find the owner of the hat and the Christmas goose. 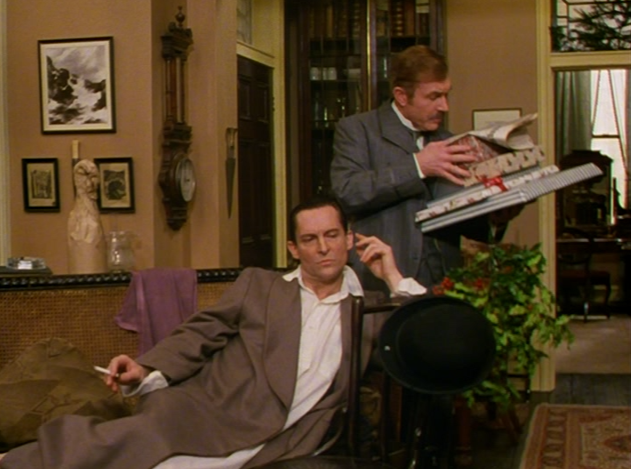 The best part of this episode is watching Holmes visually examine the hat and instantly know the details of the owner's personality, lifestyle and habits! 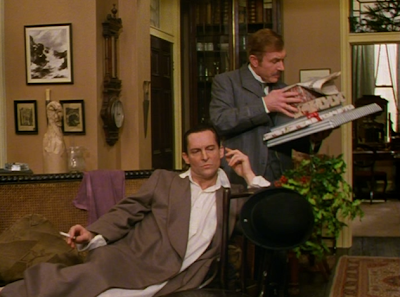 It's a quintessential Sherlock scene. And, of course, his partner Watson is both amazed and skeptical. Sherlock merely examines the hat and knows the owner's personality traits, lifestyle and habits!? 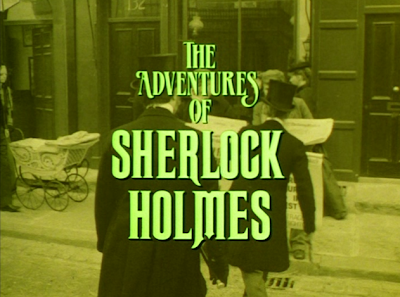 When the hat's owner is found, Sherlock quickly ascertains that he is not the thief of the Blue Carbuncle. Now Holmes sets off the trace the source of the Christmas goose and goes looking for the food co-op, of sorts, that distributed the goose. The precious Blue Carbuncle has a violent and sordid past. As expected, Watson and Holmes eventually outwit the thief of the Blue Carbuncle, and Holmes demonstrates the spirit of the season by forgiving the repentant thief. In the spirit of Christmas, Sherlock offers the thief not only forgiveness but a second chance at life. 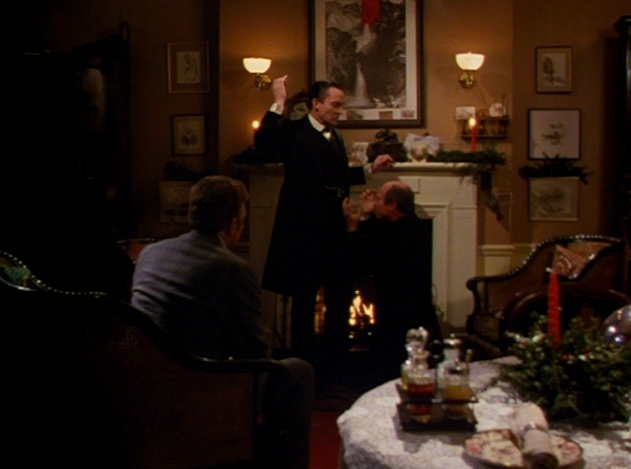 This Christmas TV episode isn't one merely inspired by the great literary detective. 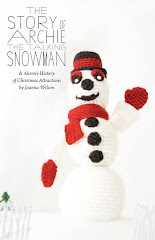 In fact, this Christmas tale is significant because it is an adaptation of a short story originally penned by Arthur Conan Doyle first published in 1892. How cool is that? 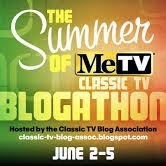 TV junkies like myself may get a kick out seeing actor Frank Mills in the role of Peterson. Mills also appeared in the much beloved, 1990s British detective series Hetty Wainthropp Investigates as Frank Wainthropp. I'm the hugest fan of that gentle series--I admire Hetty's courage and desire to help people by using the common sense and wisdom she's earned throughout her long life. She's one sassy senior, brought to life by actress Patricia Routledge. I wish Hetty Wainthropp Investigates had a Christmas episode! 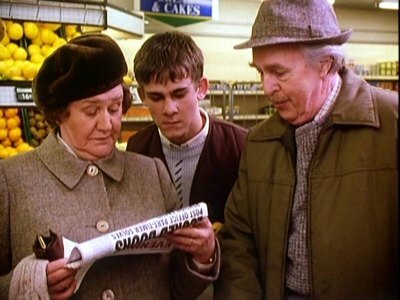 L to R: Hetty (Patricia Routledge), her assistant Geoffrey (Dominic Monaghan) and her husband Frank (Frank Mills). Do you recognize Monaghan from Lord of the Rings? 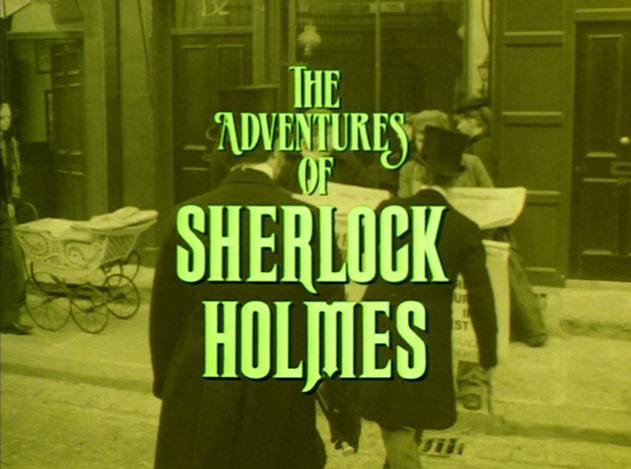 Back to The Adventures of Sherlock Holmes: This Christmas episode "The Blue Carbuncle" also gives viewers another opportunity to immerse themselves in Victorian-era London at Christmas time. 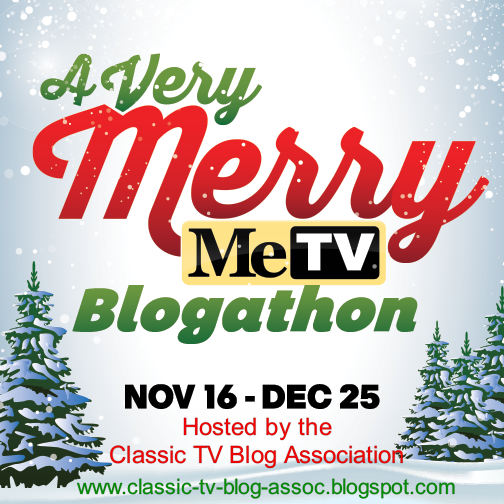 Charles Dickens may have inspired us to be sentimental about nineteenth-century England at the holidays but this story allows TV viewers to indulge in the era from another literary standpoint. 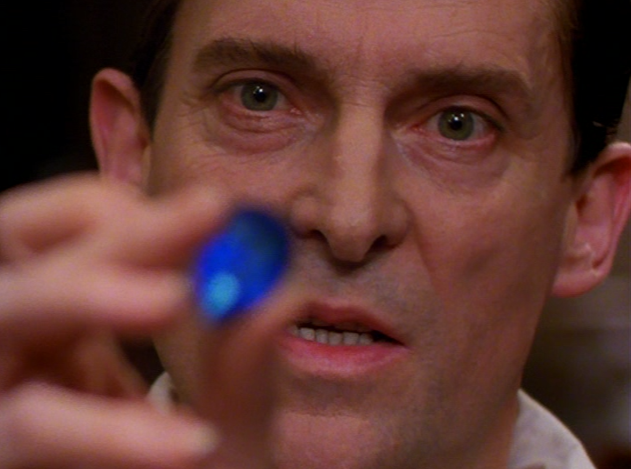 "The Blue Carbuncle" episode from The Adventures of Sherlock Holmes is currently streaming on Netflix. What's your favorite version of Sherlock Holmes? Are you tempted to watch the new one coming this fall entitled Elementary with Lucy Liu as a female Watson? 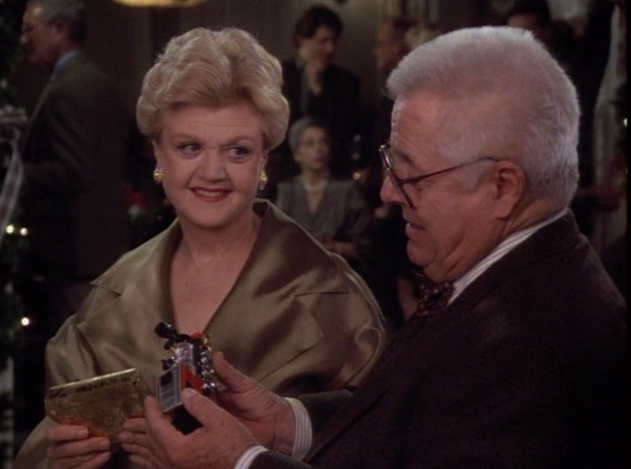 The popular 1980s mystery series Murder, She Wrote is back on TV airing on TVLand. Watching these old episodes is fun because each episode is a cavalcade of familiar actors. 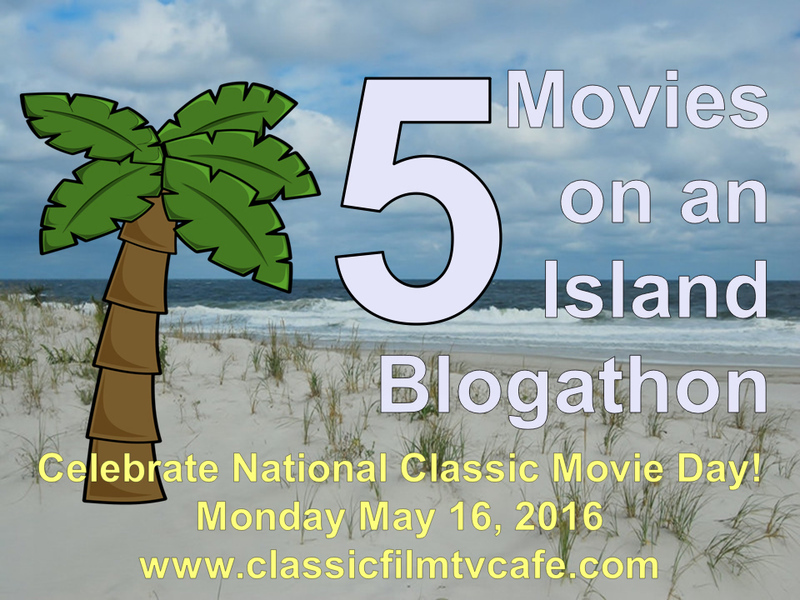 Much like Columbo, it's the Love Boat of murder mysteries. Not only is it a treat to see who is gonna pop up in each of the episodes but I don't want to overlook the obvious: it's a delightful mystery series in which the crafty mystery writer Jessica Fletcher is adept at pointing out who the nasty murderer is each week. The ninth season offered up a Christmas episode, "A Christmas Secret." A Christmas party at the Cabot Cove Community Center is interrupted by the attempted murder of the town’s executive secretary. At first, Jessica looks into a blackmailing scheme that the victim had set up against the town’s newest resident and groom-to-be. But some missing money from the town’s pension fund points the guilt towards someone else. 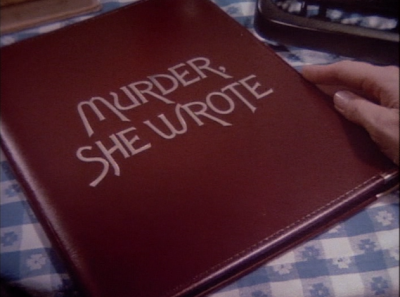 Like most episodes of Murder, She Wrote, the plot is complex and convoluted and not really the point. The real joy is in watching Jessica put all the pieces together. Looks like Santa's been naughty this year. Jessica has my vote for winning the Ugly Christmas Sweater competition. 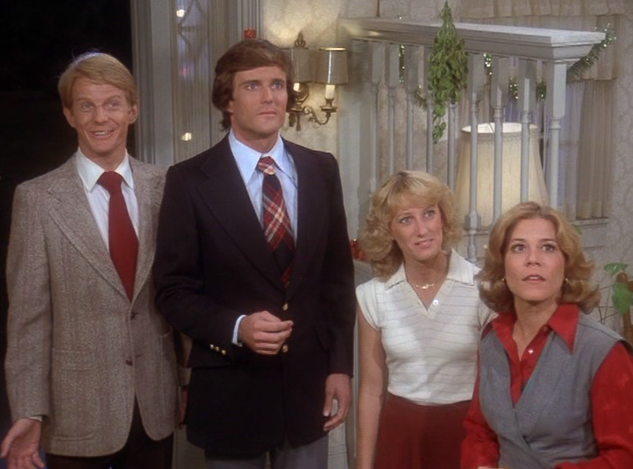 In the end of the episode, the town gathers at another party to sing “We Wish You a Merry Christmas.” This is a nice moment however, it feels like a missed opportunity to have Broadway legend Angela Lansbury solo in her own Christmas song. This episode's guest stars appear throughout my encyclopedia including: Amy Brenneman (Judging Amy's 2002 Christmas episode "Lost and Found," and Frasier's 1998 Hanukkah/Christmas episode "Merry Christmas, Mrs. Moskowitz"). 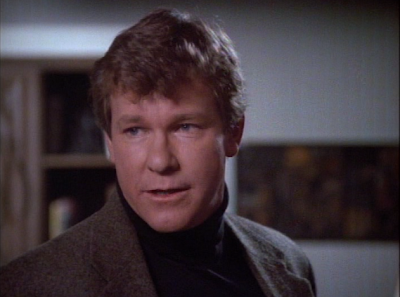 Larry Wilcox also starred as the motorcycle patrolman Jon Baker on CHiPs. 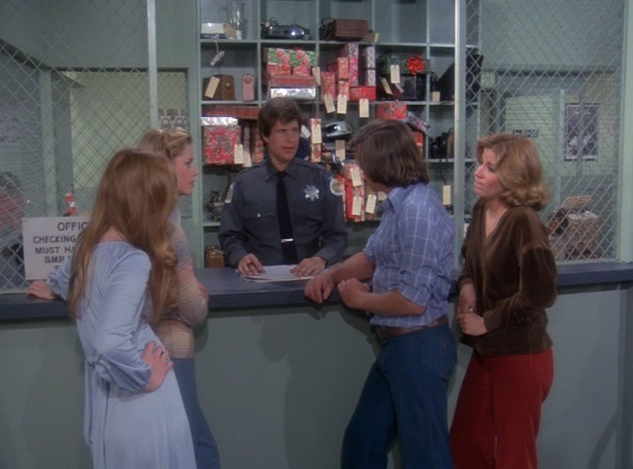 Larry Wilcox (CHiPs' 1979 Christmas episode "Christmas Watch" as well as the more recent, 30 Rock's 2009 Christmas episode "Secret Santa"). 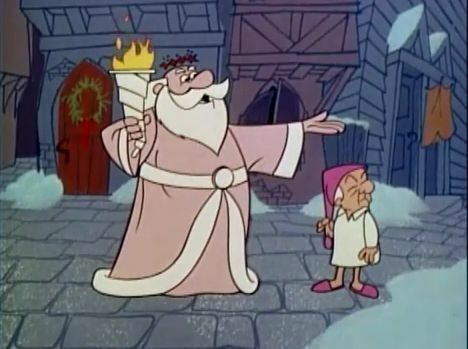 Ken Swofford (Fame's 1985 episode "Ebenezer Morloch"--a retelling of Dickens' A Christmas Carol and Riptide's 1985 holiday episode "Home for Christmas"). 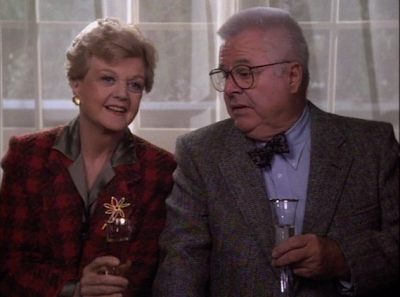 Murder, She Wrote regular William Windom who plays Jessica's friend Seth is also a veteran of Christmas on TV. 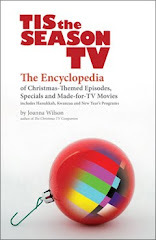 Windom also appears in the 1971 Christmas TV movie The Homecoming, the 2000 Christmas episode of Ally McBeal entitled "The Man With the Bag," Amen's two-part Christmas episode from 2000 "Miracle on 134th Street," the 1969 Christmas episode "Rally Round the Flag" of the forgotten series My World and Welcome To It, and a Christmas episode I've never seen before: 1960's "The Christmas Spirit" from the series Guestward Ho! Windom also appears in the 1994 theatrical release movie Miracle on 34th Street as Mr. Cole, the head of the department store. And, of course Angela Lansbury is also throughout the encyclopedia. 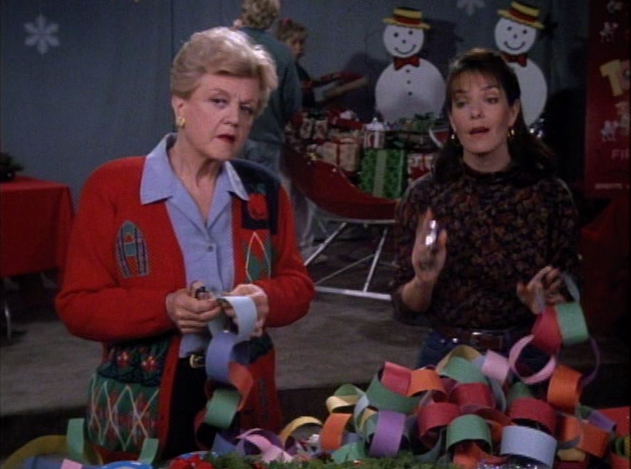 Not only does she appear in this Murder, She Wrote Christmas episode but she plays the lead in the 1996 Jerry Herman musical, TV movie Mrs. Santa Claus, the 2001 PBS special Christmas with the Mormon Tabernacle Choir, Disney's 1997 video Beauty and the Beast: The Enchanted Christmas, the 1983 TV movie The Gift of Love: A Christmas Story, and the Rankin/Bass animated classic 1975's The First Christmas. Whew. That's a lot of Christmas entertainment. Did I miss any?